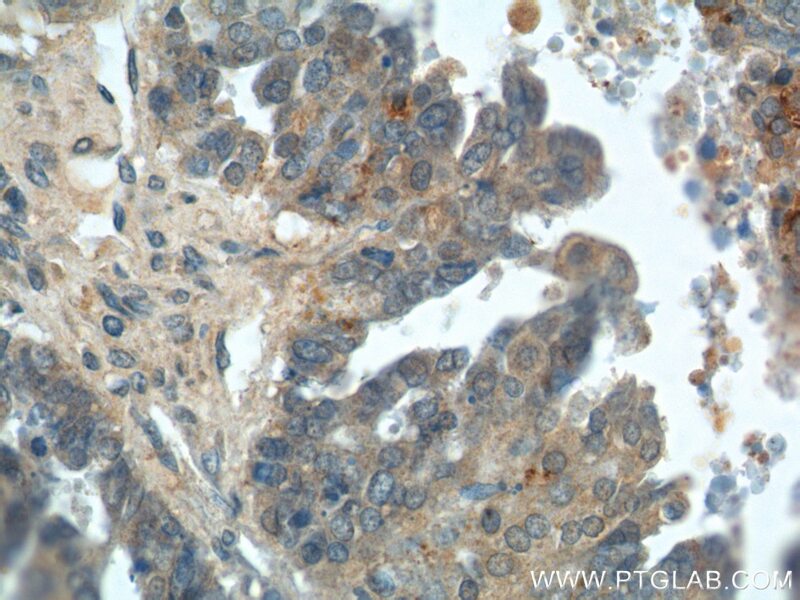 Immunohistochemical analysis of paraffin-embedded human ovary tumor tissue slide using 14232-1-AP( Kallikrein 8 antibody at dilution of 1:200 (under 10x lens). 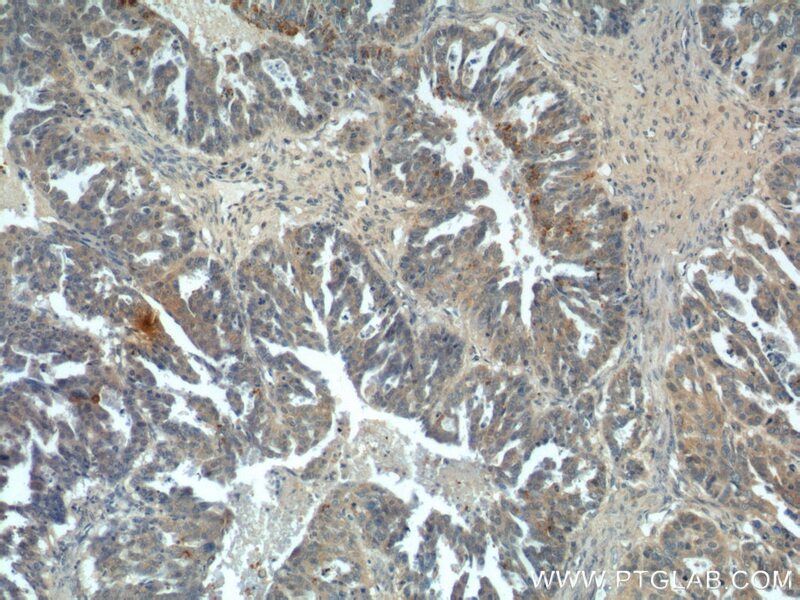 Immunohistochemical analysis of paraffin-embedded human ovary tumor tissue slide using 14232-1-AP( Kallikrein 8 antibody at dilution of 1:200 (under 40x lens). KLK8(Kallikrein-8) is also named as NRPN, PRSS19, TADG14.It is a new member of the human kallikrein family, which is predicted to be secreted and expected to be present in biological fluids (PMID:12507964).The protein is detectable in ovarian cancer tissue extracts, serum, and ascites fluid, indicating that it may serve as a new ovarian cancer marker (PMID:12782581). KLK8 has one predicted glycosylation site (PMID:20940292) and it has some isoforms produced by alternative splicing.